Going on a trip soon and worried about not getting enough time for MAT preparation? If you’ve given yourself ample time to study, you shouldn’t worry too much. Nevetheless, here are 5 ways to prep for the MAT while traveling. Obviously, most of us travel with our smartphones; it’s probably your go-to GPS. 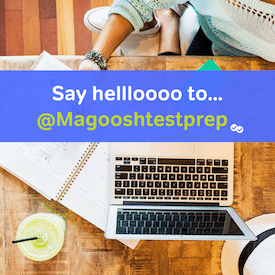 Magoosh MAT flashcards are a free resource with 160 sample questions. This is a great way to practice your MAT skills anywhere you go. Additionally, if you have a dictionary app, you can look up terms you miss for an easy way to improve the learning experience. Maybe you’re the one doing the driving. In this case, it helps to have a “hands-free” study option. There are hundreds of podcasts on just about every subject that might appear on the MAT. My recommendation: figure out your worst subject area, and then search Google for the most popular podcasts on that subject. Some subjects are more amenable to audio than others. Math can be difficult for sure. But more humanities-oriented subjects like history, English, or philosophy would be easy to find. So this isn’t a resource so much as a way of practicing. But you can do it anywhere! You’re spending a lot of time learning new terms on a whole variety of subjects. I want you to try to think of your own analogies. Even if you just start with simple pairs. Pick any vocabulary word. Can you think of a synonym or an antonym? With a little bit of practice, you should be able to think of two related pairs: a whole analogy you made yourself. You can do this mentally, or you can write it down. This type of practice will really train you to see connections while also reinforcing the terms you’ve already learned. Probably not the most innovative option on the list. But a hard copy study guide can be used just about anywhere. You don’t need a computer, smartphone, or even a wi-fi connection. What could be more fun than studying for the MAT while camping or during a day at the beach? ?